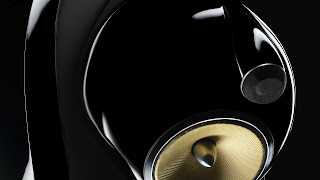 If there is something Her Majesty can be proud of, it will be the Bowers and Wilkins 800 Diamond Series. Bowers and Wilkins have been awarded the prestigious Queen's Award for Innovation for 2012. Bowers and Wilkins have a long history of pioneering new acoustic technologies, and this is the third time they have been granted a Queen’s Award for Enterprise after also winning in 2005 for Nautilus tube-loaded tweeters and earlier, in 1979, for being the first loudspeaker manufacturer to utilize the unique acoustic properties of Kevlar® in its loudspeakers. The award comes after the Queen's Award for Enterprise believed that the Diamond technology in the new 800 range is indeed innovative. The synthetic Diamond Dome, an innovative skirted diaphragm using chemical vapour deposition (CVD) of synthetic diamond, was a result of continual research into developing loudspeakers that neither add to nor subtract from a sound signal. In a tweeter, this means creating a dome that remains rigid, exhibiting perfectly piston-like behavior, as far up the frequency scale as possible. The Queen's Awards for Enterprise is an awards program for British businesses and other organizations who excel at international trade, innovation or sustainable development. They are the highest official UK awards for British businesses. The scheme was established as The Queen's Award to Industry by a royal warrant of 30 November 1965, and individual categories have been known in the past as The Queen's Awards for Export, Export Achievement, Technology, Technological Achievement and Environmental Achievement. The scheme also includes an award for individuals, The Queen's Award for Enterprise Promotion. To be awarded the Queen's Award for Enterprise in the category of International Trade, a company must show a substantial and sustained increase in export earnings over three consecutive 12-month periods, to a level which is outstanding for the products and services concerned, and for the size of the organisation. Different requirements are set for the award in the categories of Innovation and Sustainable Development. Awards are made on the advice of the Prime Minister after examination of applications by an Advisory Committee composed of leading individuals from industry, commerce, trade unions and government. The awards are conferred by the reigning British monarch on their birthday every year. For Elizabeth II this is 21 April.